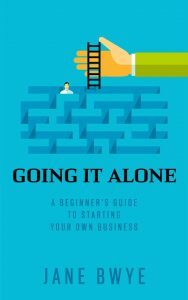 … a beginner’s guide to starting your own business. Written by Jane Bwye our Client Adviser, specialisist in providing advice and support to jobseekers thinking about starting their own business. Copies of this step-by-step guide are available from our office and with proceeds from sales supporting People Matter.